Offering you a complete choice of products which include limited liability partnership registration, llp registration (limited liability partnership) service, annual compliance of llp and partnership firm. No partnership firm registered under Partnership Act, 1932 have been converted into Limited Liability Partnership after the introduction of LLP Act, 2008 due to more benefits like minimal compliances, tax advantages, limited liability, separate legal entity, etc. are involved with LLP format of business entity. Unregistered partnerships cannot be converted into LLP. All the partners of the partnership firm will become the designated partners of new LLP, and consequently, those who do not wish to continue to be the partner in LLP should retire. Designated partners who want to be the partner in LLP should be added after the incorporation of LLP. All the designated partners should be updated with their income tax returns. All designated partners should apply for Digital Signatures. All designated partners should make some contributions. All creditors should give their consent for conversion. Approval of name for LLP in prescribed form. 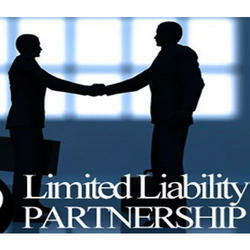 File an application for conversion of a partnership into LLP. File necessary firms of registered office and consent from each partner to become a designated partner in new LLP with ROC. File LLP Agreement within 30 days with ROC. Issuance of Certificate of Registration by ROC. Send intimation to ROC regarding the conversion of a partnership into LLP. Time taken for conversion is 15-20 days, and it also depends on upon documents provided by applicant and speed of approval by the government. 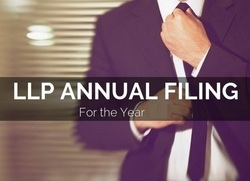 LLP Registered in India has to file the annual return within 60 days from the end of close of financial year. Statement of Account & Solvency by 30th October of the end of following fiscal year. The audit of LLP Books & Accounts applicable only when it crosses the annual turnover limit Rs. 40 Lac in a year. Current and details of change in contribution of partners. Detail about the changes in partners.